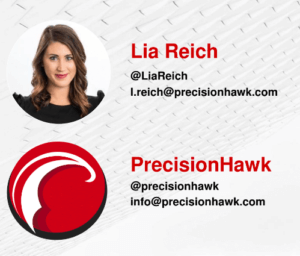 On February 27th, Triangle Marketing Club hosted Lia Reich, Vice President of Marketing and Communications of PrecisionHawk. To begin the night one of our sponsors, Live Nation of The Carolina’s Region hosted a give away for summer concert tickets in Raleigh. Following this, Zonkd, provided their Better Well Known pitch and was able to connect with the audience about their new mattress company from Raleigh. As Lia Reich took the stage, she started out by introducing herself, and the topic of The Creative Science Behind Marketing, How to Turn Creativity into Business Value. Lia mentioned that creativity starts with the people who impact culture, and that creativity comes from the world of boundless activities. “Creativity is just connecting things” rather than just getting everyday tasks done by typical business people. When speaking on her own company, PrecisionHawk which specializes in drone use, Lia told her backstory about how she struggled to begin to brand this business. Since her industry is so small she struggled with the fact that drone use had a narrow mindset towards military use the People she was trying to advertise their services to were hard to convince since at first it was unproven technology, with unknown return on investments and zero brand at all. She dove in with the “nothing to lose” mindset and aimed to be like great brands rather than potential competitor brands. Shooting for above and beyond the competition allowed PrecisionHawk to seem reputable and believable. People began to accept the idea that drones are not just for the military, but for commercial use too. She then began to explain to the audience how to hardwire creative thinking into your company culture in a three step process. The first being to impose restrictions to enhance creative thinking. The third being to know when to pivot. At first imposing restrictions made her cringe, but creativity is situational; it’s not a personality trait. So with restrictions like a startup may have you must figure out other solutions when resources are scarce. To devote yourself to the customer, your company should have idea forums to hear from all aspects of the project. This will help find gaps that can be filled by marketing. 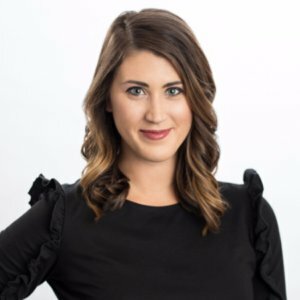 “Connecting with customers allowed me to really get to know the company mission.” Lastly to know when to pivot is the concept of adapt or die. Often times marketers hold onto great ideas for too long there comes a time a place where everyone needs to adjust to the growing market and customers. We would like to thank Lia Reich for coming to TMC and speaking. We are excited to host JP Sherman of Red Hat for our March event speaking about Search Engine Optimization. The event will be March 27th at 6pm in our new location at 304 Glenwood Ave, Raleigh.